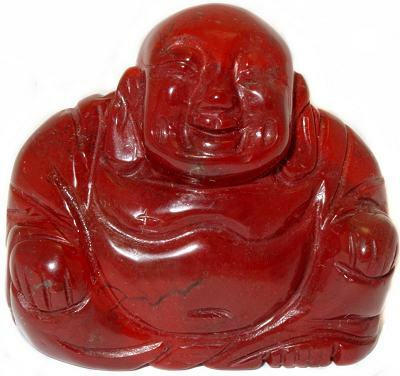 Happy Buddha carving in auspicious Red Jasper. Red Jasper is said to be a stone of justice, assisting to rectify unjust circumstances. It is also thought to be protective. The Happy Buddha is a frequent Feng Shui cure, said to bring wisdom, prosperity and happiness.